You can't beat having a coffee and a catch up with a friend. Filling each other in on your latest news, having a cheeky gossip, and wrapping your hands around a nice warm mug makes for a truly lovely way to spend afternoon. Sadly I'm not able to have a giant coffee date with all of my blogging pals from across the UK and beyond (although how AMAZING would that be, everyone is super welcome to come see me in Leicester! ), so this post serves as the next best thing - a virtual coffee and a catch up! Today I've written all about what I've been up to lately, so boil the kettle, make yourself a cuppa, and fill me in on all of your latest news in the comments below. Let's get started! For 22 years of my life, I hated coffee. I hated it with a passion. I even hated tea. I know, I know, that basically means I'm not British. Revoke my citizenship immediately! Anyway, whenever I went out for "coffee" with friends, I'd be ordering hot chocolate, because it was pretty much the only hot drink that I enjoyed. 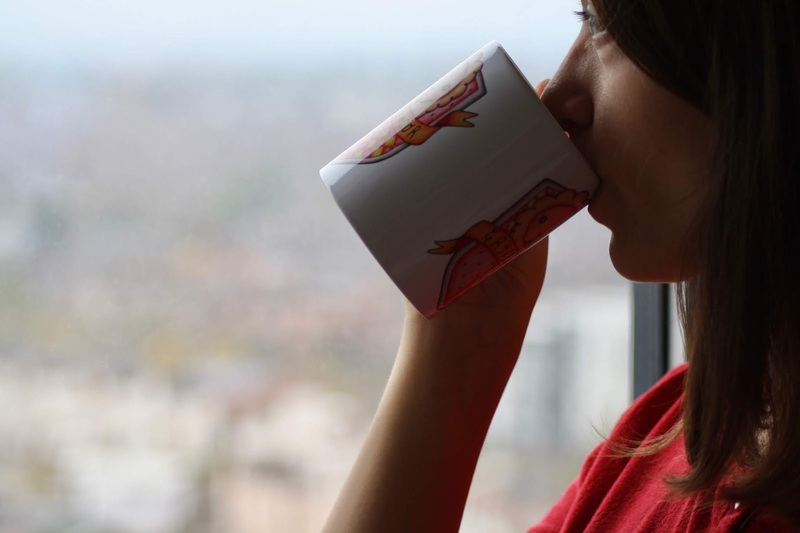 I was viewed as a bit of a pariah by my friends during my undergraduate days for not drinking anything caffeinated whatsoever - given the fact that some of them were dependent on coffee to get to morning lectures, I must've seemed a bit odd! I always loved the smell of coffee but the taste? Blergh. Until this summer, that is. Frequent readers of my blog will know that I went on holiday to Sorrento this summer and I absolutely loved it. And it was in Sorrento that I managed to get a taste for coffee. The amazing quality Italian coffee there was simply divine and now, I'm a convert! I've been making up for lost time by trying everything on coffee shop menus back in the UK, although I must admit that mochas and lattes (made with soy or oat milk) are my firm faves. It's no news to anyone that I don't really have a blogging niche. And for the most part, I like it that way. Calling myself a "lifestyle blogger", whatever that means, enables me to dip into anything and everything that tickles my fancy, and I really enjoy that flexibility. However, there are certain areas that I'd definitely like to focus on a little bit more in the coming months. For example, I really REALLY want to get into style blogging. I don't think I could ever be a "fashion" blogger, just because trends are something that tend to pass me by, but I really enjoy sharing my personal style and what I've been wearing over on Instagram, so I'm going to try and do this more on my blog too. Refocusing my blogging efforts on content that I'm really excited to create will hopefully keep my love for my blog as strong as ever! No, not THAT C-word, you filthy minded individual. I'm talking about the most wonderful time of the year - Christmas! Even though November has only just arrived, I've bought quite a few prezzies already. This year, I've decided to gift books to my friends and family, mainly because I'm an avid reader myself, and also because giving a book will allow me to achieve another of my festive goals, supporting more small businesses. Each book that I give this Christmas will be accompanied by a bookmark that I've bought from an Etsy shop or small seller. I've spoken plenty on my blog before about shopping small - buying from independent shops ensures a really unique gift after all - so I'll be making plenty of purchases from indie sellers this festive period. Doing this gives you such a nice warm fuzzy Christmas feelings as you're supporting someone's small business dreams and helping them presents under their own tree! I'm practicing what I preach and showing off a lovely mug from Pastel Elixir (my friend Ellis's indie shop) in this post - check out her site for more cute goodies! Who could possibly forget Kylie Jenner's profound statement that 2016 was "like, the year of realising stuff"? Well, to borrow her oh-so eloquent phrase, I feel like the last few months have been great for me "realising stuff" too. For example, I really surprised myself last week when I completed my first ever 10k run. It was one of my new year goals for 2018 to really improve my fitness and I achieved this by running a 5k race back in May, but after this, I kind of got it into my head that 5k was the furthest that I could go. The next milestone seemed pretty much impossible. However, when I was out for a run last week, I decided just to go for it and see how far I could get towards my 10k target. And surprise surprise, I actually smashed it! It took me just over an hour to complete the 10k distance (without stopping!) and I was over the moon. I've realised lately that sometimes the only thing holding me back from achieving my goals is me! Yes, you heard me correctly. I, Abbey Louisa Rose, and a complete idiot sometimes. This is something that I really need to work on. It's all because I over-stretch myself way too much - I just can't say no to anything. This week alone, I'm going on study related trips to London, Edinburgh, and Oxford, I'm attending a blogger event, have three meetings, two seminars to attend, and on top of that I need to complete and send off some written work. Yeah, things are a bit nuts. It's all my own fault though - I like to take every opportunity that I'm offered (especially if it'll help me in getting my PhD) but by the end of this week, I'm going to be absolutely knackered. I definitely need to learn to pace myself a bit better and leave myself some time in my schedule to relax. After all, I'm going to be no good to anyone if I'm a massive ball of stress. I'm hoping that by writing this, some people will be able to relate and tell me that I'm not alone in my inability to say no. Is anyone out there?! It's unbelievably easy to drop a huge wad of cash in coffee shops every month. A few pounds here and there on coffee and sweet treats (because who doesn't enjoy a slice of cake with their brew?!) soon start to add up. 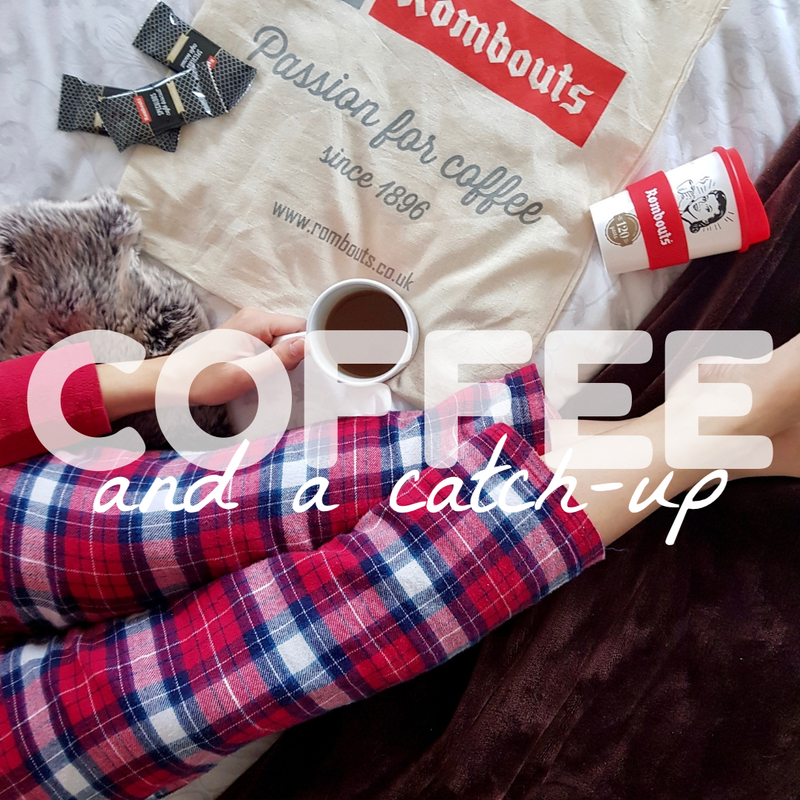 To preserve my bank balance, I've now started making my own coffee at home and I've been helped along the way by some amazing goodies from Rombouts. Rombouts Coffee kindly gifted me a huge bag of products from their range, including ground coffee beans, my very own cafetiere to brew them in, a travel mug for on-the-go, and an enormous pack of speculoos! 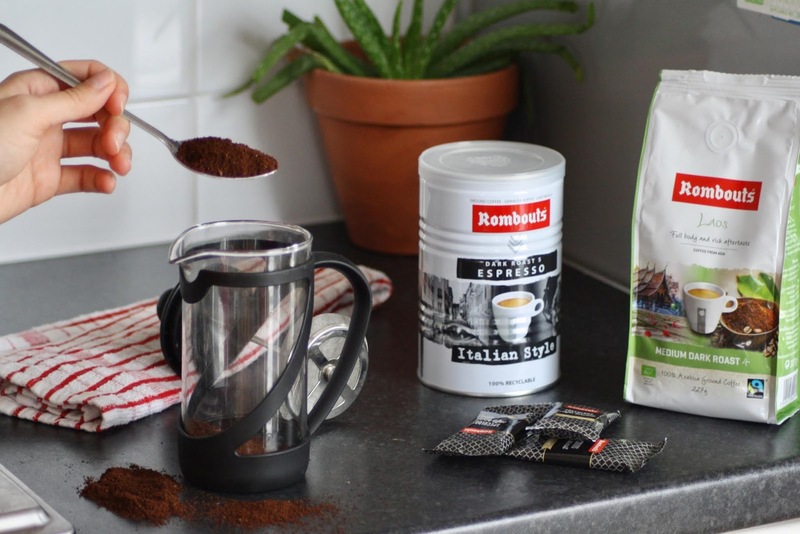 After learning of the Italian origins of my coffee obsession just above, you can imagine my delight when I pulled out a tin of Rombouts' Italian Style Ground Coffee from my goodie bag. 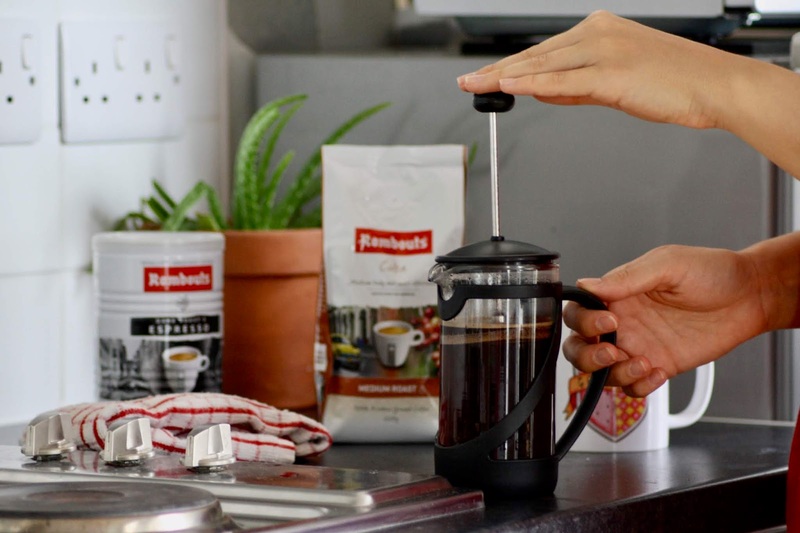 This coffee certainly packs a punch, it's one of the more intense blends that Rombouts offers with deliciously rich scents and flavours, but I add oat milk to mellow it out slightly. What makes me love Rombouts even more is their fantastic brand ethos - their Laos Single Origin coffee is certified Fairtrade. They provide a price guarantee for their coffee growers and work closely with them to ensure that the coffee is of great quality and that workers and their communities are paid fairly. I'm a huge fan of Rombouts Coffee and would heartily recommend it to anyone trying to wean themselves off Costa! Thank you for joining me in this little catch up! I found it incredibly therapeutic to write this post, so I hope that many of you enjoyed reading. Please return the favour and let me know what you've been up to lately in the comments below. What has been your biggest achievement? What has made you smile? What are you looking forward to? Share away, I'd love to read. *Rombouts Coffee provided some products free of charge in exchange for a feature on my blog. I was not paid for this blog post.